WEST NEW YORK, New Jersey -- A day after a mistrial was declared in his federal bribery trial, New Jersey Democratic Sen. Bob Menendez got back to work Friday and urged people to sign up for health insurance under the Affordable Care Act. Menendez appeared alongside Democratic Rep. Albio Sires and Democratic Assembly Speaker Vincent Prieto in West New York to rally those eligible for health coverage under former President Barack Obama's signature law. Open enrollment ends Dec. 15. A federal judge declared a mistrial in the case against Menendez and Florida eye doctor Salomon Melgen Thursday after jurors failed to reach a verdict . Prosecutors allege Menendez helped Melgen with a Medicare billing dispute in return for lavish trips. Both men denied wrongdoing. 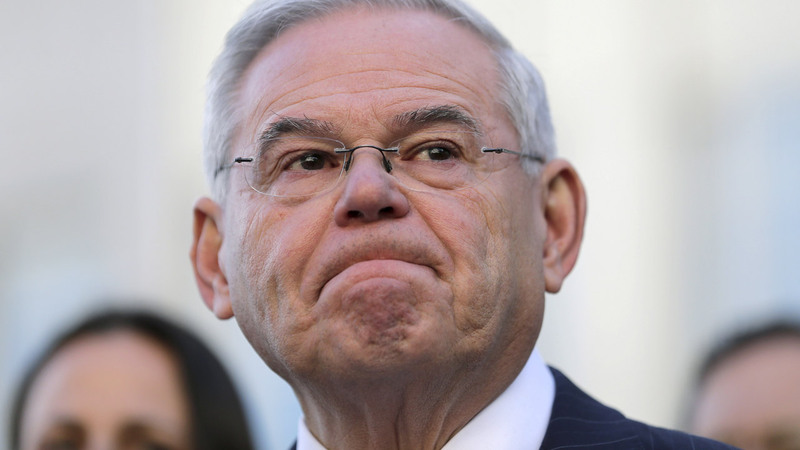 Menendez declined Friday to say if he's seeking re-election. His political adviser said a decision is expected in the coming weeks. Asked Friday about his comment after the mistrial was declared that he would not forget those who tried to dig his "political grave," Menendez joked that "they're no longer on my Christmas list." Responding to Republican Senate Majority Leader Mitch McConnell's call for an ethics investigation, Menendez said the inquiry was "not a new pursuit," and added that he had been open with the committee. The committee said Thursday it will resume its inquiry, which started in 2012 and was deferred a year later because of the criminal investigation. If he decides to run for re-election, Menendez has the backing of Democratic Gov.-elect Phil Murphy and the state's top legislative leaders, as well as power broker George Norcross. Prosecutors have not yet decided whether they will seek to retry the charges. Menendez was accused of selling his political influence to Melgen for vacations in the Caribbean and Paris, flights on Melgen's jet and hundreds of thousands of dollars in contributions to campaign organizations that supported the senator directly or indirectly. In return, prosecutors said, Menendez pressured government officials on Melgen's behalf over an $8.9 million Medicare billing dispute and a stalled contract to provide port screening equipment in the Dominican Republic, and also helped obtain U.S. visas for the 63-year-old doctor's girlfriends. The defense argued that the gifts were not bribes but tokens of friendship between two men who have known each other for more than 20 years and were "like brothers."